Gumtoogi is a ground breaking evolution in Eastern Sword Fighting Philosophy. Innovated by 8th Dan Grandmaster Taejoon Lee, this new application of Sword Fighting is the first in history to include leg strikes, completely changing the way two warriors face off against each other. Gumtoogi is also the only Sword Fighting System that matches competitors with different sword types against each other; from long swords, short swords, twin swords, and many other weapon combinations. … and Bongtoogi (Stick Fighting)! Bongtoogi takes Stick Fighting to the next level through its varied use of weaponry. Innovated by 8th Dan Grandmaster Taejoon Lee, this new application of Stick Fighting is the first in history to include leg strikes, completely changing the way two warriors face off against each other. Bongtoogi is also the only Weapon Fighting System that matches competitors with different stick types against each other; from the long staff, short staff, double sticks, and many other weapon combinations. Here’s the preview of the latest Cyberdojang.com lessons taught by Hwa Rang Do Grandmaster Taejoon Lee. In this session, he teaches the use of Saanggum (Twin Swords) for effective weapon fighting of Hwa Rang Do’s unique sword fighting method, Gumtoogi. 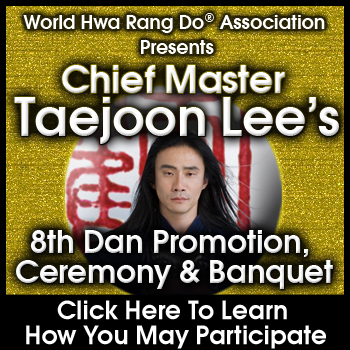 www.cyberdojang.com is the official online school of Hwa Rang Do Grandmaster Taejoon Lee. Hope to see you there.